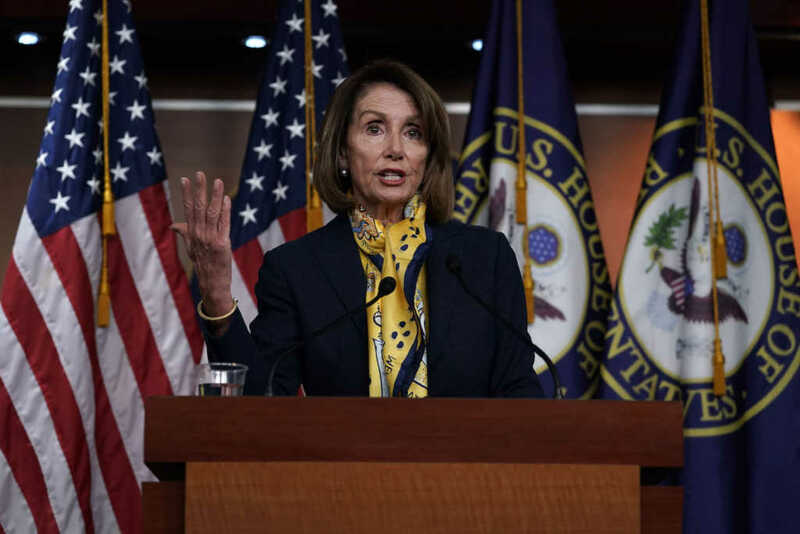 House Speaker Nancy Pelosi (D-Calif.) shared her favorite Bible verse last week while speaking to a group of Christian university presidents, but there was one problem: the quote she referenced was not from the Bible. Before sharing the quote, the lawmaker admitted she had been unable to find a reference for the quote in the Bible, but insisted it can be found “someplace” in the Scriptures, suggesting it is possibly from the Old Testament book of Isaiah. The passage, though, just isn’t in the Good Book. Pelosi attributed the phrase to an unnamed bishop. Pelosi has, according to Slate, been referencing the quote for years. In fact, the phrase appeared 12 times in congressional record from 2002 to 2018. All of those references came from the 78-year-old Democrat. The liberal politician noted Jesus’ parable about the goats and the sheep. The sheep — those who have accepted Jesus as their savior — refers to people who, as a result of their faith, have aided the vulnerable, the hungry, the thirsty, the poor, the strangers, the sick and the imprisoned, while the goats — those who have not encountered or accepted the gospel — have not put the needs of others first.